Organic Lavender Provence Oil is by far our most popular essential oil. It is gentle, versatile and has a lovely, velvety-soft, floral aroma. We carry several Lavenders, and while we love all of them, this is by far our favorite. The aroma is velvety smooth with a sweetness that's herbaceous, soft and incredibly rich. This Lavender essential oil is high in Linalyl Acetate, which gives it outstanding calming and antispasmodic properties. We think it's absolutely worth the extra expense, especially if you're looking for an oil to help with relaxation. Analgesic, anticonvulsive, antidepressant, anti-inflammatory, antimicrobial, antirheumatic, antiseptic, antispasmodic, antitussive, antivenomus, carminative, decongestant, deodorant, diuretic, insecticide, nervine, parasiticide, sedative, stimulant, and tonic. Lavender (Lavandula angustifolia) is now cultivated all over the world, including France, Russia, Bulgaria, the Himalayas and Croatia. Lavender is the most popular and widely used essential oil and for good reason: not only is it remarkably gentle and effective, but it has an almost universally beloved aroma - floral, soft, and herbaceous. This is one of the essential oils that everyone should have on hand. Lavender essental oil has a long history of use. the name coming from the latin word 'lavere', which means 'to wash', because the Romans added Lavender to their bath water. It is the essential oil made famous by Rene-Maurice Gattefosse, who treated a bad burn with lavender oil. He was intrigued that the burn healed without the usual blistering or scarring, and became interested in the healing power of essential oils. His studies led to the publication of the book Aromatherapie, and also popularized the term "Aromatherapy" for the study of essential oils. Lavender essential oil is used to help relieve headaches, PMS, cramps and muscular aches and pains. It can help relieve sinus and nasal stuffiness and chest congestion. Probably most well known for its ability to reduce stress and promote restful slumber, Lavender oil is the number one choice for many when they need calming, grounding and rest. In fact, aromatherapy researchers found that Lavender oil was the most effective essential oil for relaxing brainwaves and decreasing stress. Lavender essential oil is also extremely useful in the treatment of burns, including sunburn, insect bites, and inflammatory skin conditions. Many use it to ward off insects, and as an ingredient in cleaning and getting rid of odors in their home. It is one of the few essential oils that can be applied neat (for instance, in case of a minor burn), although care still needs to be taken. Mix 2 tablespoons of dried Lavender flowers and one tablespoon of dried Chamomile flowers. Add 2 drops of essential oil of Lavender and 2 drops of Clary Sage essential oil to the mixture and fold into a square of cheese cloth that you tie at the top. Drop it into the bath as you draw the water, and enjoy. 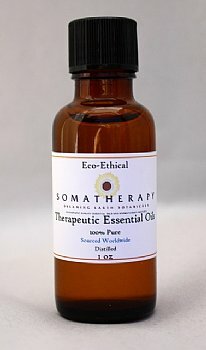 Dilute essential oils with three tablespoons of Carrier Oil, and use for an invigorating massage. Or, use in a diffuser without the carrier oil. Combine 10 drops Lavender and 10 drops Mandarin Essential Oils and add to water in a candle diffuser. Mix 20 drops Lavender Essential Oil with 1/4 cup of Olive oil. Combine well. Apply to clean, dry hair, making sure to coat thoroughly. Cover with a shower cap or plastic wrap and cover again with a warm, damp towel. Keep on for one hour, and then rinse thoroughly and shampoo. This is a wonderful conditioner for dry or damaged hair, helping to restore and nourish. For more on how to use lavender essential oil, click here. Review: This is my favorite Lavender. Have tried many last 15 years nothing compares. Review: Great, great great. I am in love with this beautiful lavender. All I have to do is to smell it right out of the bottle to feel immediately calmed down! Review: I absolutely love this lavender. Wonderful fragrance offering an instant sense of calm with one whiff!! Review: I've been using lavender oil for decades and am thrilled to have this product. It's exceptional in fragrance, therapeutic properties and over-all effectiveness. Many thanks for making this product available, especially in an organic version. Review: I have been buying Lavender Provence since 2000. It is the best, my customers think it is the best. I will not buy it any where else.